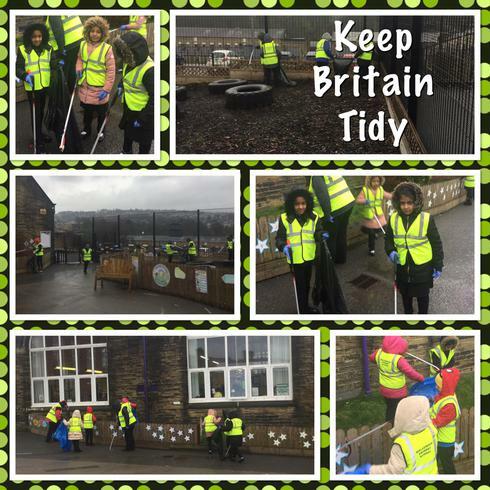 The councillors of Walverden have been helping to support the Great British Spring Clean by going out and tidying up the outside of the school building. They went out with all of the necessary equipment to pick up any unwanted litter around the school. Well done to all involved in this activity.